Christoph Engel (b. 1956) is Director at the Max Planck Institute for Research on Collective Goods, Bonn, and a member of the Law Faculties in Bonn, Osnabrück and Rotterdam. He mainly works on experimental law and economics and publishes in journals such as the Journal of Empirical Legal Studies, the American Law and Economics Review, the Journal of Economic Behavior & Organization, Economics Letters, or the Journal of Institutional and Theoretical Economics. His latest book is Generating Predictability. In three respects, behaviorally informed governance faces much deeper uncertainty than traditional intervention. The first source of uncertainty is theoretical. Many empirically well-established behavioral effects are still not well understood. The second source of uncertainty is empirical. Despite the richness of many experimental literatures, many effects are still disputed. It is always up to debate whether lab evidence extrapolates to the phenomena in the field one wants to understand. The third source of uncertainty is heterogeneity. Hardly any behavioral effect is uniform. The substantial additional uncertainty poses a practical problem. Behaviorally informed intervention may be pointless since analysis or prediction have gone wrong. Frequently, the behaviorally informed definition of the governance problem is far from consented. Moreover since so many behavioral effects are still so little understood, one has a hard time making reliable predictions about the possible effect of some intervention, let alone about the comparative assessment of competing interventions. There are ways out, but they are normatively problematic. A first strategy is uncoupling explanation and prediction. Much like Facebook or Google, government may collect and analyze massive databases to detect robust cue patterns. A second strategy even does away with consent on problem definition. Government just tries out interventions, and maintains the ones that stir up least resistance. 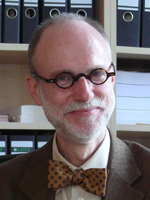 SUGGESTED CITATION Engel, Christoph: Nudging and Uncertainty (Abstract), VerfBlog, 2015/1/09, https://verfassungsblog.de/nudging-uncertainty-abstract-2/.